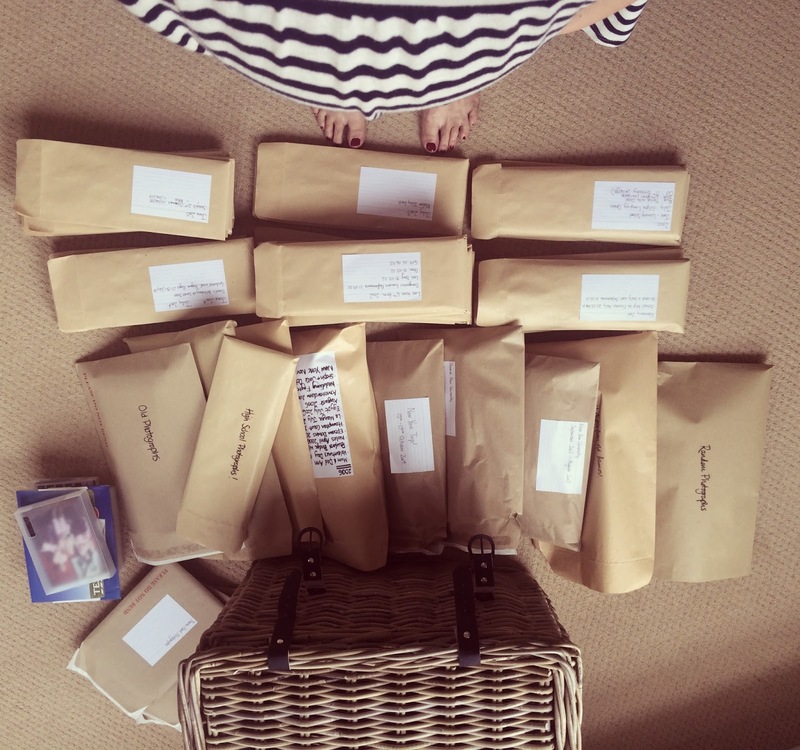 Preparing for baby has involved a whole lot of sorting through just about everything we’ve ever owned, hoarded or stuff we didn’t even know we were keeping. As the pre-baby jitters start kicking in, I’m anxious to finish the little one’s nursery. But there are still a few final things to sort through before Project Nursery can finally get underway. I’ve been wracking my brains about what to do with a huge black bag full of photographs that were just loitering in the spare room. Photographs ranging from three decades of my life. Some unbelievably shocking, (and should be burnt) but most were pieces of history from a lifetime of fun and love. Photos that aren’t necessarily frame worthy, but were too precious and too damn hilarious to store up in a dusty loft to never be appreciated or shared with friends and family whenever a moment of nostalgia crept over us. Being short on time and space I knew I didn’t want to spend hours compiling the photos to albums that would take up valuable shelf space and inevitably collect dust. Not to mention that they were numerous (zillions) not-so-glamorous photographs from university nights out, that were certainly not worth a slot in a photo album. We’ve all got them. Those horrendous photos where at the time, you thought you were so cool. Either way, they will come in handy when I’m old and grey and I need reminding of the days when I was young…and drunk and wore outrageously short skirts and massively overdid it in the fake tan department. 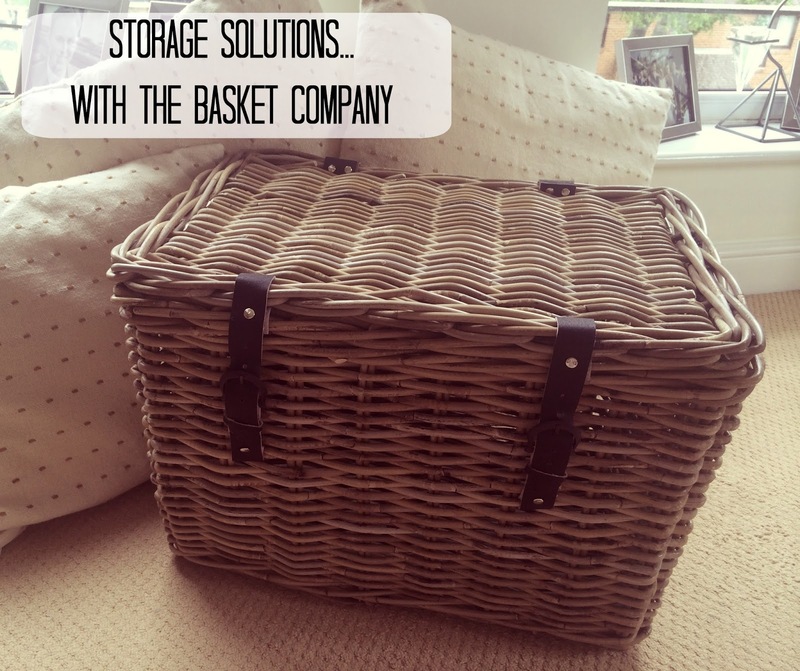 Scouring the internet for storage ideas, I stumbled upon The Basket Company…an interior’s dream with a huge range of beautiful baskets for pretty much all your household and lifestyle needs. 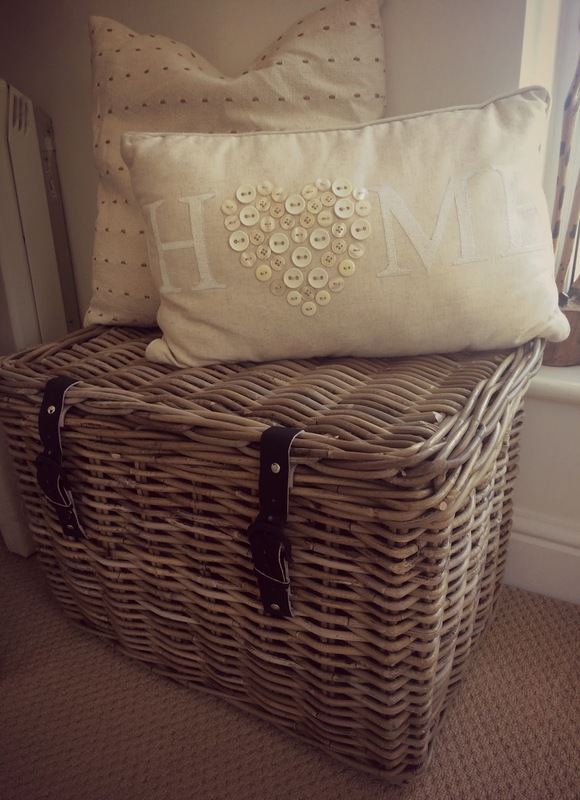 From storage, laundry and decor to gardens, gifts and pets, they have a gorgeous basket that would be perfectly practical and yet super stylish for your entire home. I was literally spoilt for choice mooching through their range of storage trunks and I finally decided that the Grey Rattan Storage Trunk Chest would not only provide an excellent solution to storing my photographs, but it would suit our living space just brilliantly. 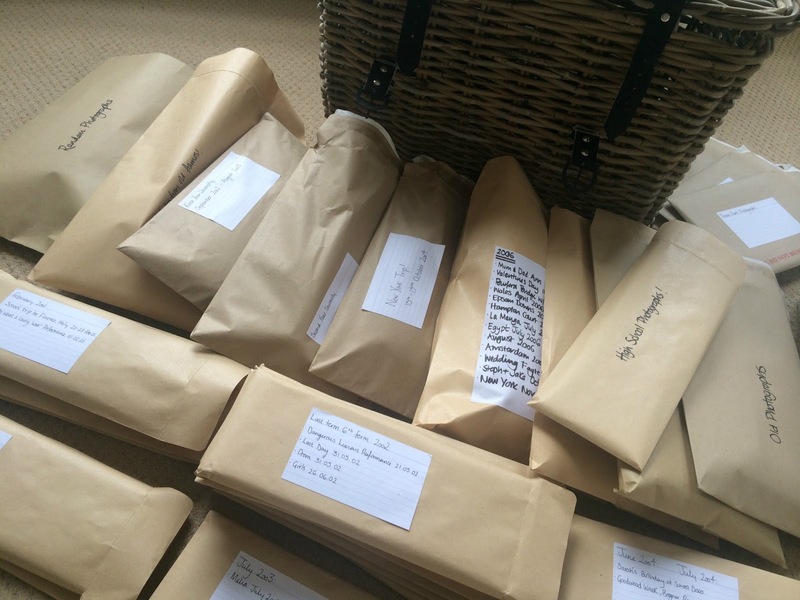 As soon as it arrived I immediately set to work organising my history into envelopes, ready to bury the most incriminating years at the bottom of my new basket, keeping the more precious towards the top…as you do. We wouldn’t want any of those shameful snaps escaping now would we? What I love about the storage trunk is that it is such good quality. It looks so stylish and yet feels really robust, that if one day I needed to use it to store toys I know it will stand the test of time with a little sprog dipping in and out of it several times a day. It also compliments our living room perfectly. With our neutral tones and shades, the basket sits proudly against the wall finished off with a couple of decorative cushions to give it a more homely feel. The basket has the added bonus of the buckle straps, which I know will come in handy once our little one starts to explore (wreck) it’s lovely home. I can’t wait. 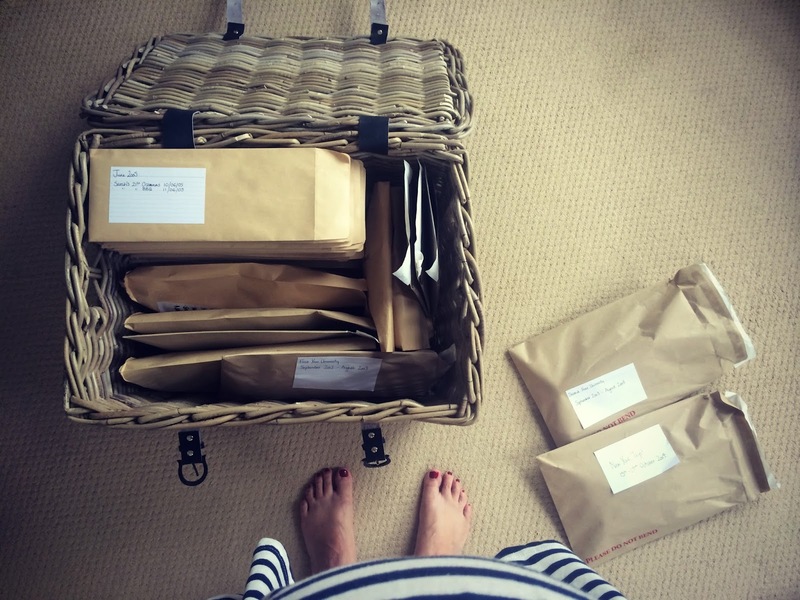 I will most definitely be returning to The Basket Company in the future, with such an extensive range of items to choose from in an array of sizes, styles and practicalities, I know that their products will work for us as our little family grows and our household needs expand. How do you store all your old photographs? Do you have any storage tips when preparing for a new baby…? Let me know in the comments below! Disclosure: I was kindly sent the featured product to review. As always, all opinions are my own and have not been influenced in any way. Thank you for supporting the brands that make this blog possible.